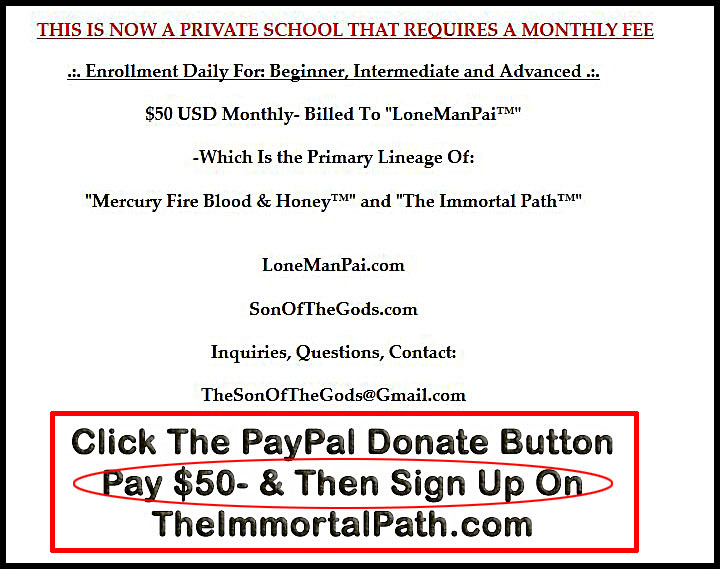 Mercury Fire Blood & Honey @ SonOfTheGods.com Is Our New Forum. LoneManPai.com Is No Longer Accepting New Members. "LoneMan Pai™ Is The Jeet Kune Do Of Occultism"
Since 2011, LoneMan Pai™ Has Become THE MOST POTENT Internal Arts / Magickal System Ever Available. I Assume Zero Responsibility Or Liability As Everything Here Is For Educational Purposes Only. This account was not found. © Copyright LoneMan Pai™, SonOfTheGods, SaToGa -1996-2036. All Rights Reserved.